Toys “R” Us won’t let a little thing like bankruptcy get in the way of Christmas. 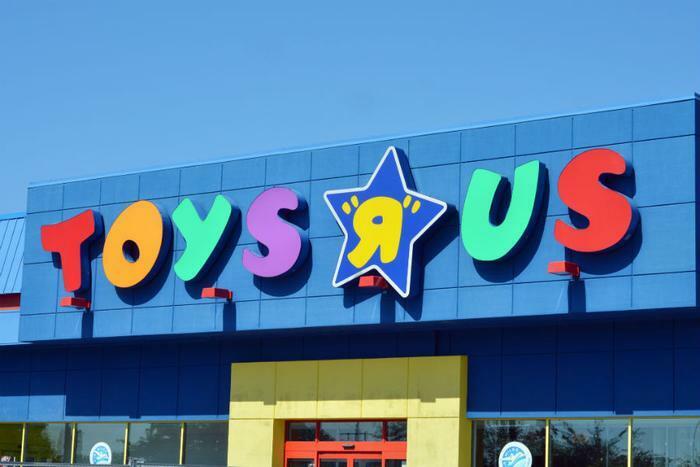 The toy retailer, which filed for Chapter 11 protection earlier this week, has announced it's still accepting applications for holiday positions at stores and distribution centers across the country. Interestingly, the world's largest retailer, Walmart, is not hiring holiday help. “We are offering the extra hours available this time of year to our current associates rather than hiring thousands of seasonal workers,” said executive vice president and CEO Judith McKenna. She points out that the company took the same approach last year and got “great feedback” from customers and employees alike. As it beefs up its workforce, Toys “R” Us is adding a new position: Toy Demonstrator. The job appears to be perfect for big kids at heart, as it involves unboxing, playing with toys, and allowing kids and shoppers opportunities to test them out. Toys “R” Us says it's offering incentives and competitive compensation packages for all hires in each local market, such as flex hours and varied shifts. Additionally, seasonal hires can take advantage of employee discounts and shopping events for their own holiday gift giving. The company says there also will be some opportunities for employment beyond the holidays as it has moved thousands of its holiday workforce to fill permanent roles. In addition to its stores and distribution centers, the Toys “R” Us customer service partner -- Acticall Sitel Group -- is hiring over 900 dedicated seasonal Work@Home agents at its Virtual Call Centers in 25 states across the country. Not only does Work@Home eliminate a commute and provide convenience and flexibility with schedules, it also allows parents and caregivers more time with family. To apply for positions at Toys “R” Us stores and distribution centers, interested candidates can visit Toysrusinc.com/HolidayJobs. The application is mobile-friendly and requires less than five minutes to complete. To apply for positions in Acticall Sitel Group call centers, interested candidates can visit Sitel.com/careers/work-home. DHL Supply Chain in Groveport, Ohio, which provides online fulfillment for Toys “R” Us throughout the holiday season, is hiring over 2,400 seasonal employees to help service online orders for Toysrus.com and Babiesrus.com. Available positions throughout the season include general labor, clerical, and forklift operators. To apply, interested candidates can visit dhlsupplychainjobs.com or text “TOYS2017” to 31996 for job information. To apply for available daytime and overnight positions in Acticall Sitel Group call centers, interested candidates can visit Sitel.com/careers/work-home.